The Gewüztraminer wine graoe is a variety of rosé wine grape that comes fro central Europe. 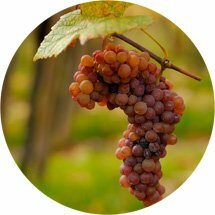 Even though it is some times cultivated in certain regions of France and Germany, the Gewüztraminer wine grape has been also cultivated in more temperate regions such as, Penedés, Extremadura and Sotomontano. The wines elaborated with Gewüztraminer grape are characteristic for its pale yellow color, with incredible exotic fruits aromas.